Buy LGBTQReads a Coffee. ko-fi.com/lgbtqreads - Ko-fi ❤️ Where creators get paid by fans, with a 'Buy Me a Coffee' button. I run a website (and its associated social media) geared toward helping readers of all ages, categories, and genres find queer reading material. 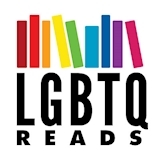 Hi, and thank you for supporting LGBTQReads! The money you donate here helps go toward hosting costs and paying an intern/assistant to optimize the site and make it the best resource it can be for those who need it. Secured Payments. Support goes to LGBTQReads's account. Upgrade LGBTQReads to a yearly Gold Membership with a one-time payment.